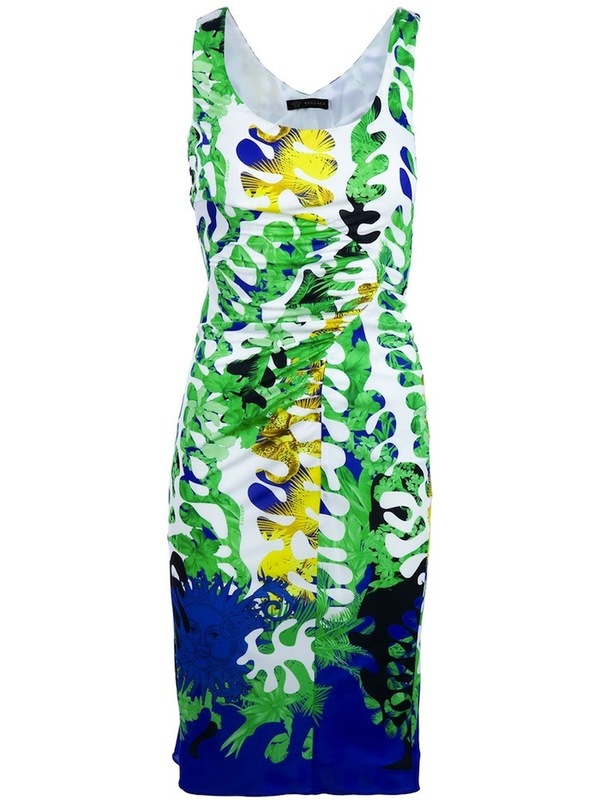 Resort collection for 2012 a new vitality as expressed in this this tropically inspired Versace dress. You'll be quick to embrace the easy, elegant styling as you make a warm entrance to those special events. Complete the look with upswept hair and metallic sandals. 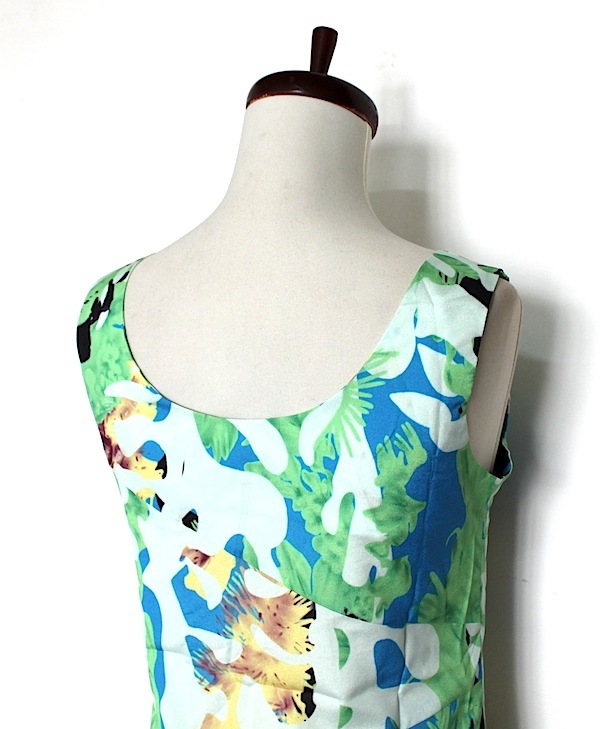 Green/multicolor floral-print jersey. 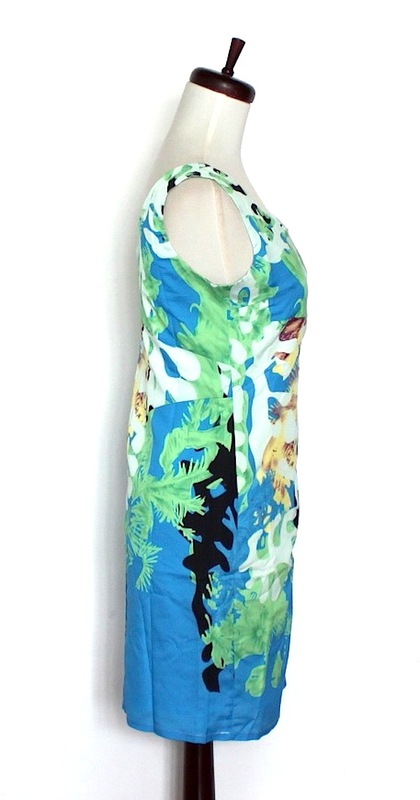 Scoop neckline and back. Sleeveless. 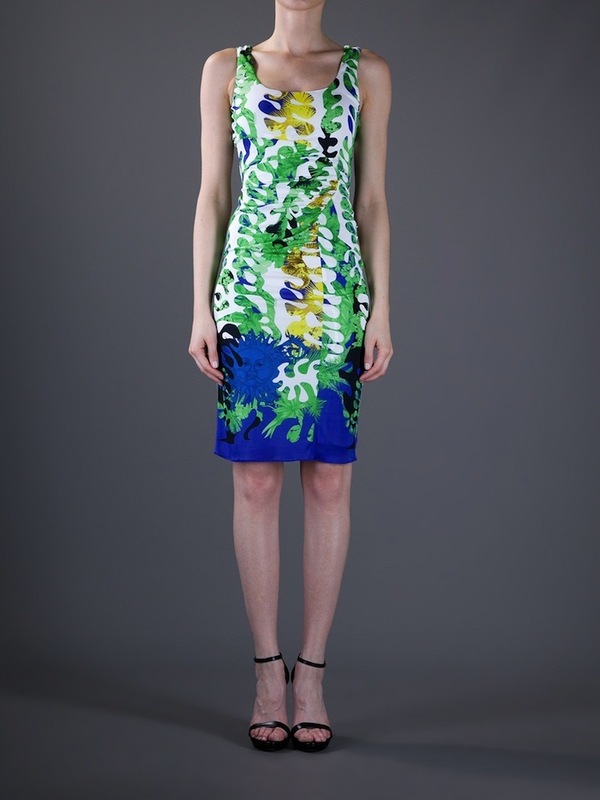 Front and back ruching and seams enhance silhouette. 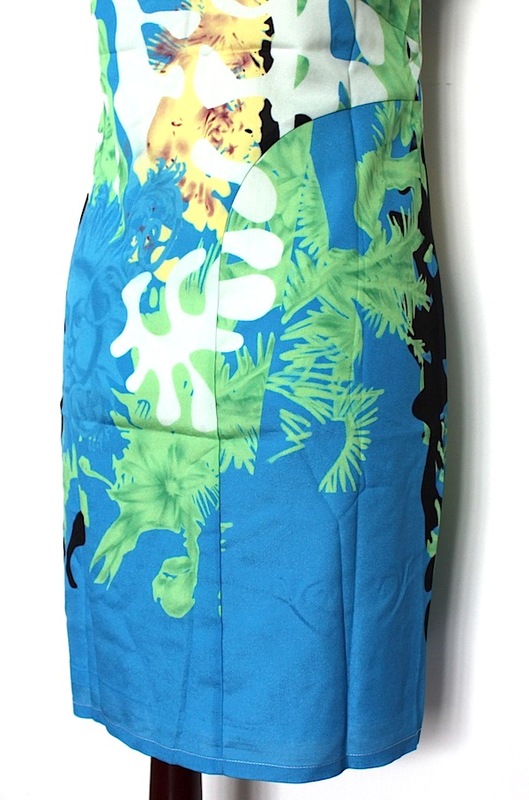 Signature Medusa print on front skirt. Hem hits at knee. 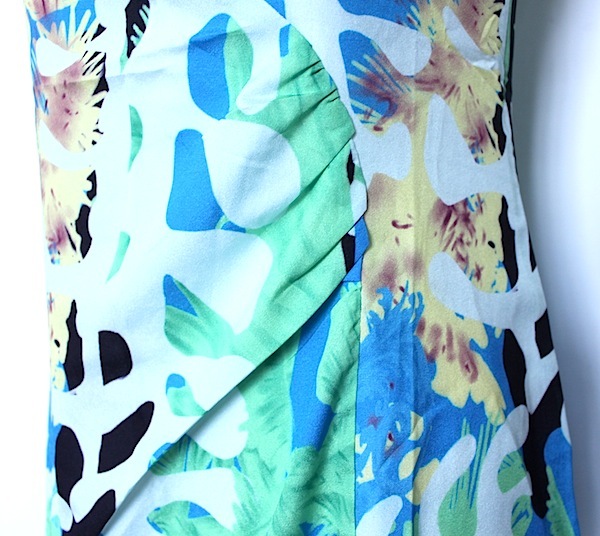 Viscose/polyester/spandex; dry clean only.